On the final day of the SEHA – Gazprom League Final4 in Varazdin, Croatia, representatives of the league and their title sponsor Gazprom held a press conference on the competition and the partnership. Announced by Mihajlo Mihajlovski, President of the SEHA Gazprom League, and Alexander Meshkov, representative of Gazprom, the Russian based company will extend the title sponsorship for the league until 2020. Since the 2013/14 season, Gazprom is the title sponsor of the multi-national handball league with ten teams from seven different nations. “It is great for a sponsor to see results like this Final4, the truly increased media interest and the general development of the league. This competition is in a really good situation, and we are glad to be its sponsor,” Meshkov said, before the new contract was officially signed during Sunday’s press conference in Varazdin. 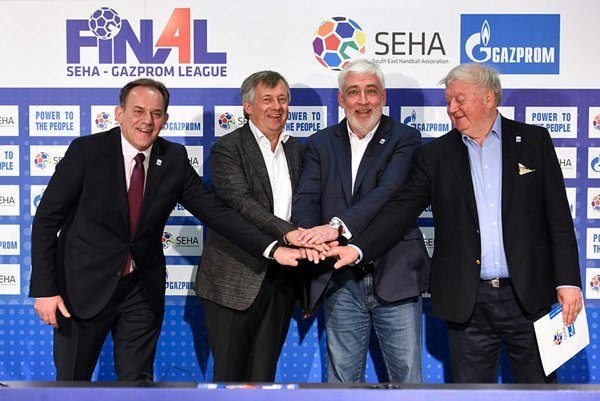 Mihajlovski pointed out that SEHA -Gazprom League is represented by three teams in the quarter-finals of the EHF Champions League – Veszprem, Vardar and Zagreb. In addition, Meshkov were among the best 16, besides Vojvodina and Tatran part of the group phase of the Champions League. “We stand for the best of handball, and thanks to the ongoing support of Gazprom, we want to achieve to be on an equal level with German Bundesliga and even pass this league in future,” said Mihajlovski. Slovenian sides RK Pivovarna Lasko Celje and Gorenje Velenje are supposed to join the SEHA Gazprom League in the upcoming season after the approvals of Slovenian league and Slovenian Federation. The final approval needs to be given by the Slovenian club assembly. MVM Veszprem have 15 days time to inform the headquarters of the SEHA – Gazprom League if they will participate in the SEHA – Gazprom League 2016/17 season. The SEHA – Gazprom League will consist of ten teams in the 2016/17 season. Boris Saposchnikov replaces Agron Hajredin as Vice-President of SEHA – Gazprom League. 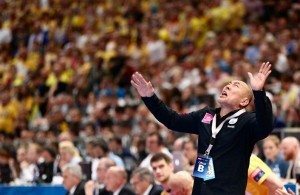 CENTRAL-EUROPEAN FINAL: Veszprem win drama!